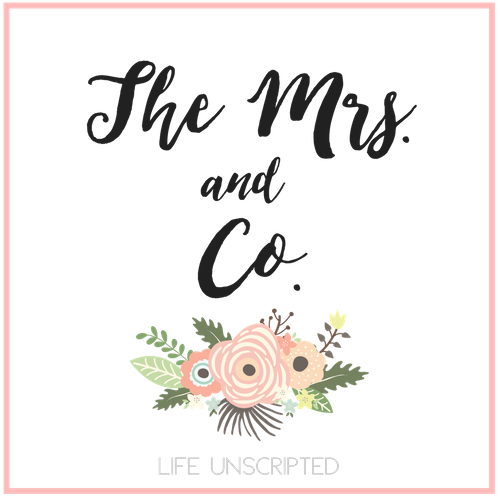 Trend Spin Link Up - The Mrs. & Co.
Hello friends! Glad you are here! Today I am linking up for Trend Spin Link Up with Walking in Memphis in High Heels and The Fashion Canvas. I'm loving this week's theme. Free Day! I decided to showcase one of the outfits that's going to Jamaica with me! 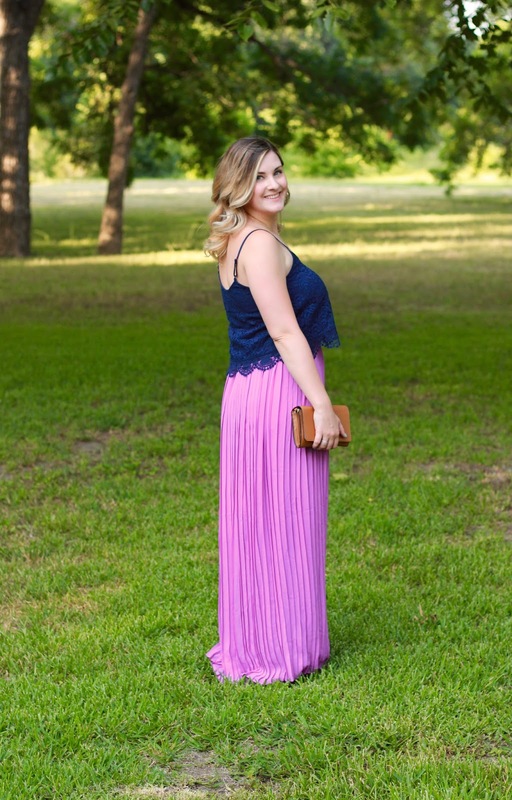 Skirts and crop tops are very in this summer and I'm loving this combo of lilac and navy. I snagged this set at Pinkblush. Did you know that they also carry a women's line? Not just maternity?! Make sure you head over and check them out. They are always having sales and if you sign up for their newsletter, you can get 15% off. 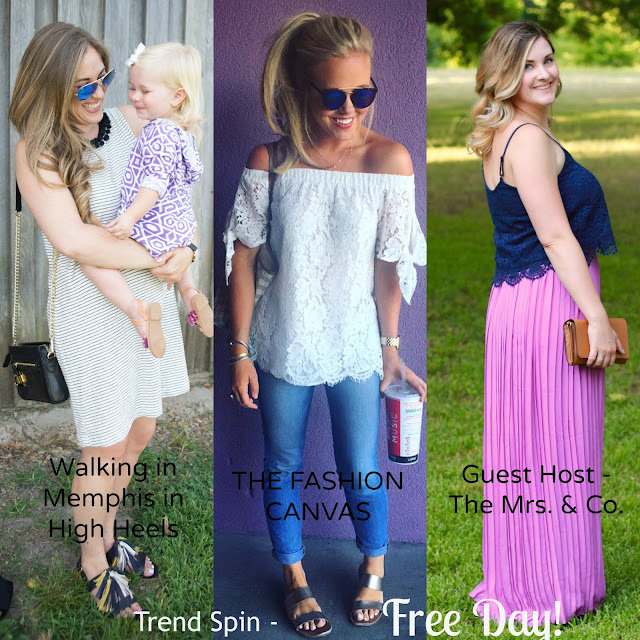 Come link up with us and show off your favorite style! 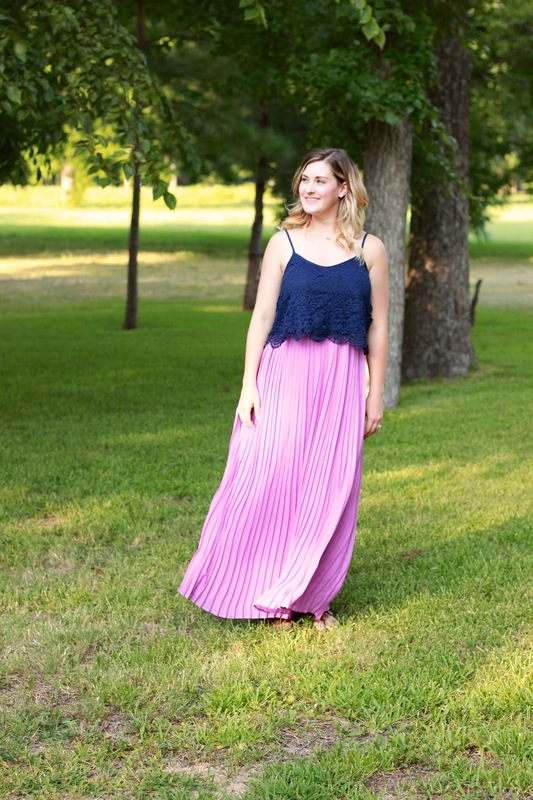 Ashley, I love your pleated maxi skirt! And the color really does look spectacular with the navy top. Such a fun and pretty summer outfit. I would love for you to stop by and join my On the Edge of the Week Link Up! Have a fabulous week!